Therapeutic-grade Essential Oils - All About Health, Inc.
Quality matters! That is why at All About Health, Inc. we only use and offer the absolute highest quality, therapeutic-grade essential oils. With that in mind, we recommend essential oils from three top companies: Primavera, Young Living and doTerra. Peppermint is a very versatile oil that we use for inflammation, pain, digestive discomfort (gas, nausea, pressure), tight muscles, and to cleanse the lymph. Lavender is our go-to oil. If you are not sure what oil to use, use lavender. We use lavender for bug bites, stings, burns, calming, cuts/scrapes and rashes. This is a key ingredient in our recommended sunscreen and our Sunburn Healing Blend. Frankincense is an awesome oil to keep on hand and we use it first and foremost for protection of our energy since the bodywork we do gets us in contact with many people's energies. We also use and recommend it for hormonal imbalance as it stimulates the pituitary (which regulates all of your other glands) and for all 'abnormal' cell growth. Grapefruit is uplifting and honestly, I absolutely love the smell! It is also good for gall bladder support and an overall 'feel good' oil. Need an energy boost? Smell grapefruit. Thieves is a blend from Young Living that is an anti-bacterial and an anti-viral. We use it for flu, colds and fungus. We love to ease sore throats and to help with intestinal parasites. I also use almost the whole line of Thieves products like the toothpaste (Dentarome Plus), Thieves Household Cleaner, Thieves Spray and the Thieves Hand Sanitizer. The doTerra oil that is comparable is On-Guard which we use for all of the above as well. However, I personally prefer the cinnamon/clove scent that Thieves provides which is the only reason I prefer it over On-Guard. I use the On-Guard Foaming Hand Wash throughout my house. (Click here for the doTerra virtual product guide). 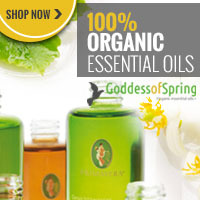 Primavera oils can be ordered from us. One of the things I like about Primavera (in addition to the quality) is that many of the oils come in professional sizes (30 ml, 50 ml, or 100 ml). NOTE: Certified Foot GoldZone Therapists receive significant discounts on all of our products! Click here to find out more about how to become a Certified Foot GoldZone Therapist.